One size, but can be expanded. 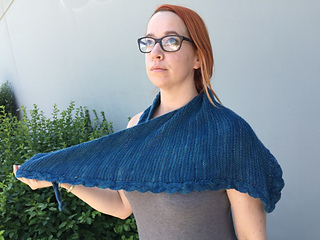 Elsa is a one-color shawl worked sideways in garter stitch, gradually increasing as you continue working. 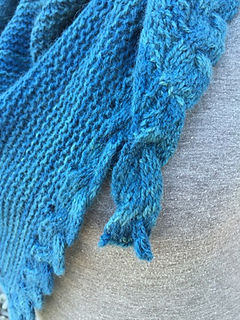 As you knit, an I-cord edge is formed, and cables are worked along the other edge in a ribbed sequence, making the project completely reversible! 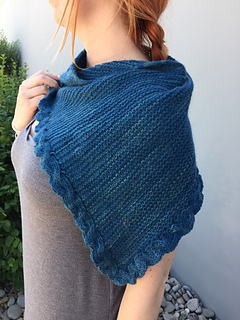 This project is perfect if you have a single skein of sport, DK, or even worsted weight yarn in your stash, and also a great way to learn the basics of cable knitting. 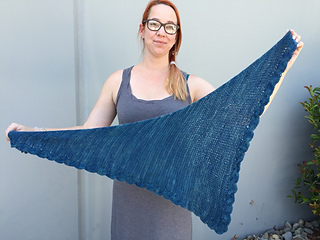 The best part is that this project can be knit on any yarn, and to the size of your choosing. The name comes from the Ice Queen Elsa from Disney’s “Frozen”, who is known for her sassy side braid, as well as her ice powers. 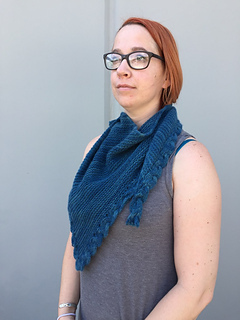 • (This project can be knit on any yarn though sport, DK, or worsted is suggested. • Crochet hook and spare yarn for provisional cast on. 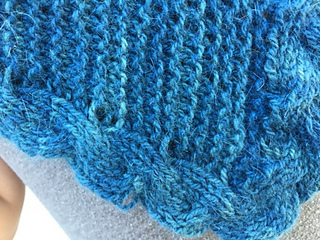 About 22 rows and 18 sts in garter stitch, every 4 inches. The gauge is critical to make the sample size shown in the final measurements. Otherwise, be prepared to have a second skein handy. PATTERN NOTES: Some instructions are included to make sure you can use the required amount of yarn without having to use a second skein, unless you want a larger size. Read the pattern instructions and check your gauge before starting.